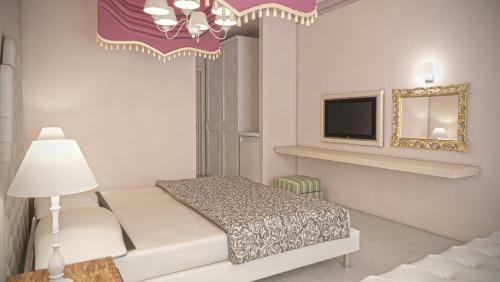 Aeolos Boutique Hotel is located in Kalamaki, Zakynthos. The hotel offers to its guests garden, bar	and outdoor swimming pool. The kids will enjoy the games room	and children playground. The property accommodates visitors in honeymoon suite and other might be available upon request. Room amenities include air-conditioning and more. Free wifi is available in all areas of the hotel.